Already a SilverSneakers Member? Create an online account. SilverSneakers® is a health and fitness program designed for adults 65+ that’s included with many Medicare Plans. SilverSneakers is a fitness program for seniors that’s included with many Medicare Advantage plans. SilverSneakers helps millions of people on Medicare defy the odds, shatter stereotypes and answer every challenge with, “I can do this!” Membership includes access to every participating gym and fitness center in the network. That’s a membership at more than 16,000 locations. We also offer fitness classes for all abilities led by our SilverSneakers trained instructors at gyms and other locations. So what are you waiting for? 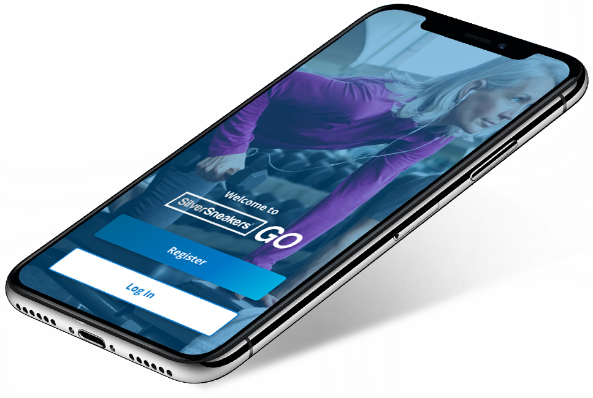 Getting active just got easier with SilverSneakers® GO, the first fitness app designed just for you. 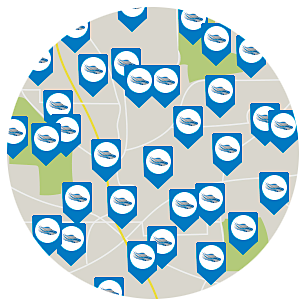 Access over 15,000 locations nationwide as many times as you like. They're all yours. SilverSneakers FLEX has more than 70 types of classes at parks, recreation centers and clubs. Take classes that are right for you. From low impact to high intensity, there's a gym class designed for every level. Meet new people or go with friends to make fitness a blast. The SilverSneakers community is a welcoming community. SilverSneakers has partnered with fitness locations everywhere. In fact, there are more than 16,000 participating locations across the country. SilverSneakers is for older adults of all fitness levels and inspirational member stories come from across the nation. Do you have a story to share? Participating in SilverSneakers has enhanced my well-being by permitting me to continue having access to a facility that has high quality exercise equipment in a clean orderly environment. I can do this even though I am on a fixed income. I am proud that I can spend 65 minutes on a stair climbing machine. the real perk of aging! I have been a devoted “gym rat” for almost 40 years. SilverSneakers enables me to have my choice of gyms and the classes they offer. I’m motivated by how good I feel, how healthy I am and the friends I’ve made. I’m also able to keep up with my 2 year old grandson! I am 72 years of age. I had a significant stroke five years ago and, thankfully, have recovered from it. I asked my doctor if I could go back to the gym and he said a resounding “yes” but cautioned me that I am no longer 30 years old and to be careful with my routine. I took his advice.